There are different ways to become familiar with our nation’s founding documents: reading, memorizing, studying, reciting are a few. But in our keyboard- swipe-click-centered world, rewriting by hand is not one that immediately comes to mind. Hand copying a document can produce an intimate connection to the text and its meaning. The handwriter may discover things about this document that they never knew, a passage that challenges or moves them. They may even leave with a deeper connection to the founders and the country, or even a sense of encouragement. Whatever her original intent for deciding to hand copy the lengthy document, her explanation for discovering things about a text echoes the arguments put forth about close reading that were initiated with the Common Core. Close reading requires students to read and reread a text several times; each time for a different purpose. The first reading is to understand what the text says. The first reading is for comprehension: Who (character); What (events); Where/When (setting); Why (plot or information) questions asked. -What does _____ this word mean in this context? -How is the text organized? (sequence. cause and effect, compare/contrast, description)? -What ways does the author use punctuation to control the reading of the text? 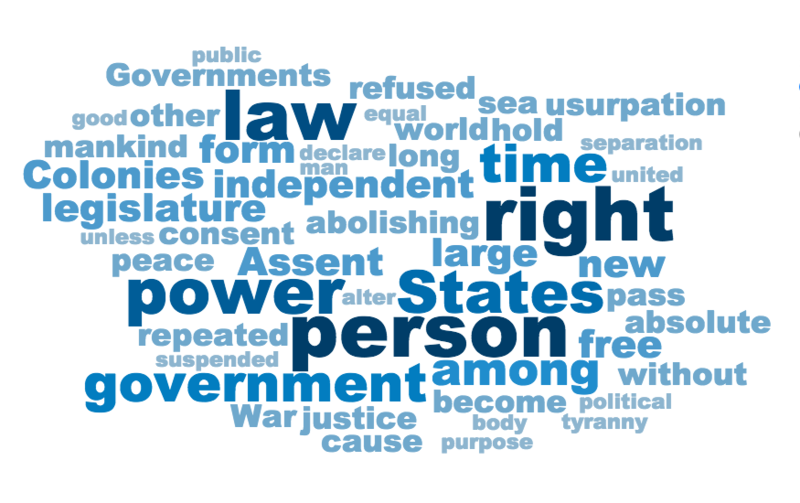 Asking students to write out by hand the United States Constitution with the Bill of Rights is akin to having them perform a second close read. In copying the words and the punctuation and imitating the structure (sequence), they could, like O’Hara, focus on how the text operates. How this particular text operates is exactly what constitutional scholars, lawyers, and judges debate regularly in courts. Recently, the first semicolon after thereof was at the heart of the case (January 2010) Citizens United . The Supreme Court determined that this semicolon links the free exercise of religion and the free exercise of speech and that the framers did not mean that each clause of the First Amendment should be interpreted separately. The decision gave corporations the same free speech rights as people, and that corporations should have the same free religious exercise rights as people as well. 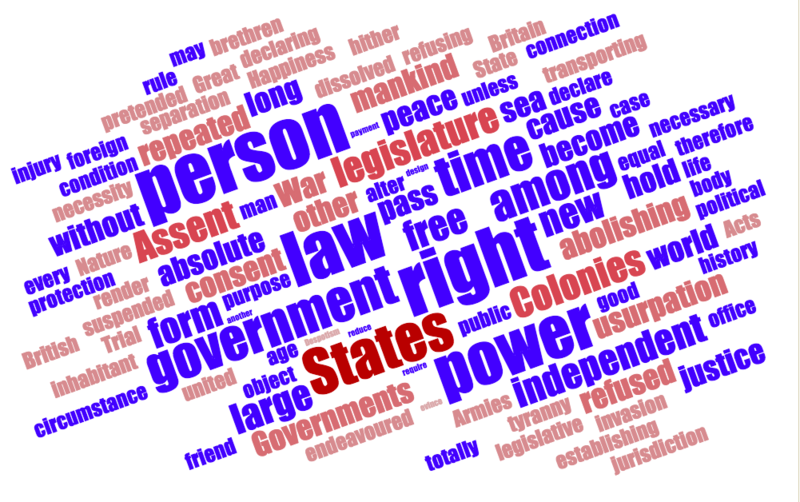 Handwriting the First Amendment and pausing to consider that semicolon can bring attention as to how the author(s) or Founding Fathers used punctuation to control the reading of the text. 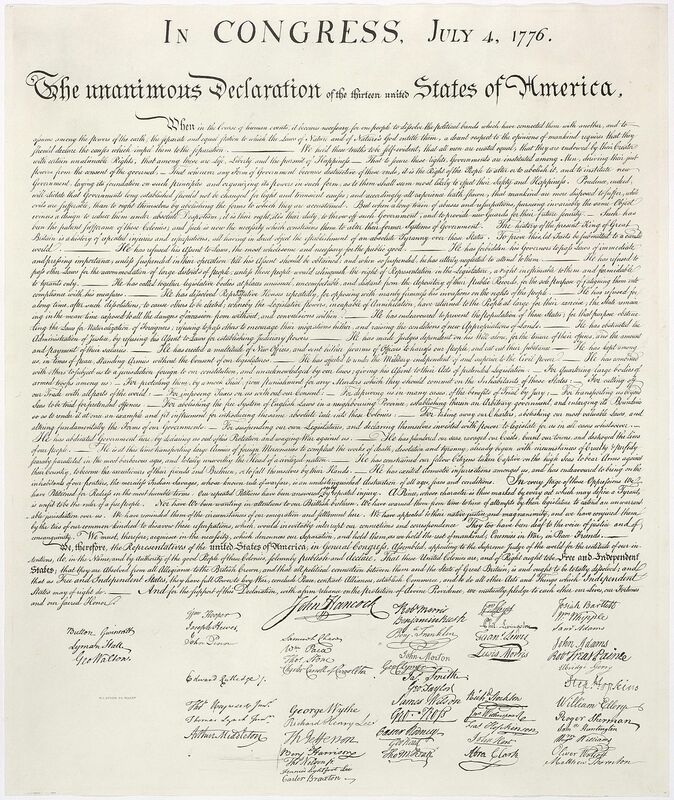 Legislators and scholars have argued about the intent of Thomas Jefferson since the release of the first draft of the Declaration of Independence. Students should have the opportunity to add their voices to the impact of different interpretations on their lives as well. Outside of noting the punctuation in primary source documents, there is a fair amount of research that promotes the writing by hand as a great instructional tool in developing muscle memory, which is described on the Logic of English research blog as meaning “the students can write quickly and legibly with little conscious attention.” Writing by hand helps students as a multi-sensory approach to reading and spelling. This understanding contradicts long held beliefs that copying does not improve understanding. There may have been examples of monks who copied Ancient Christian manuscripts who were unable to even read, but in these cases the goal was artistic, not literacy. Moreover, in the 21st Century, there is an increase in attention being paid to the loss of writing by hand in our tech obsessed culture. Feedback like this may be helpful to students. Of course copying the primary documents such as the United States Constitution or the Declaration of Independence in their entirety would be a lengthy commitment. Copying entire sections or even phrases, however, can give students that same kind of motor action and brain feedback and help them better appreciate a passage for what it says (meaning) and how it says it (text structure). At the very least, they will experience the same process of duplicating these documents in the authentic way they were created by our Founding Fathers….by hand.